On a (crayon) roll! | Sew Lindsay, Sew! 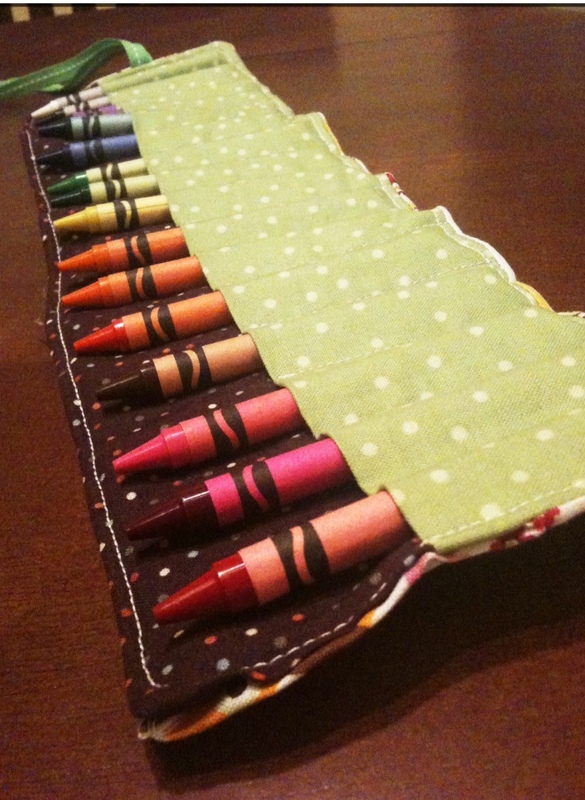 Google the phrase “crayon roll” and you’ll be inundated with images, tutorials and etsy shops featuring this gem that allows kiddos to tuck crayons into little pockets, roll ’em all up and take ’em on the go. As someone who is constantly on the hunt for free sewing tutorials, it finally got to the point where I just HAD to try making one of these little guys. They’re famous in the online sewing world! As luck would have it, my friend Brie was about to celebrate a birthday – and Brie LOVES crayons. It should be noted that Brie is an adult, but if you are an adult who does no longer finds joy in a set of brand new crayons, you’re clearly not living your life to the fullest. So I set out to find the most ideal crayon roll tutorial and settled on The Pleated Poppy – a blog tutorial featuring super-clear instructions and stunning photos. I whipped up my first crayon roll in just an hour or so, impressing even myself – new projects never have such a quick turnaround! There were some slight mish-moshy stitching errors here and there, but overall, the project was a winner! It uses very little fabric! 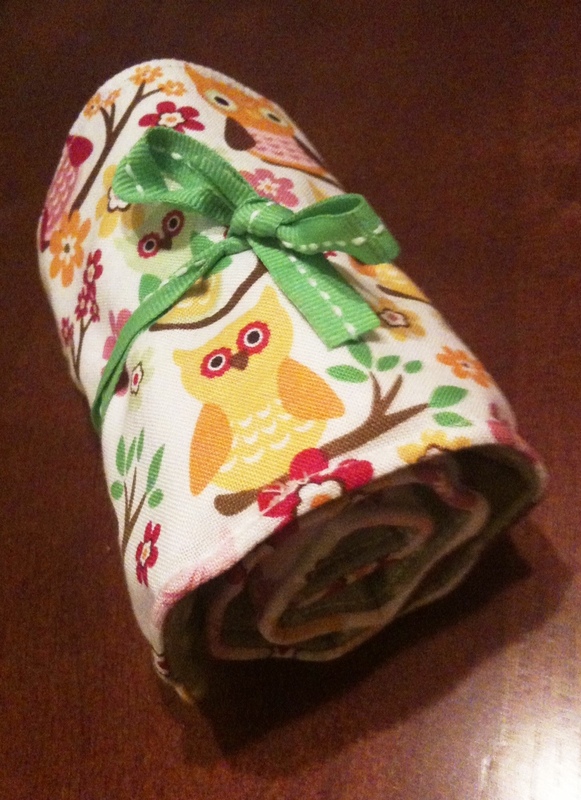 I was able to use some scraps leftover from my Friendship Bag and my nook cover for Brie’s crayon roll. The tutorial linked above uses an elastic and a button to secure the roll closed, but I opted for ribbon ties instead. Precise measurements are crucial for both the fabric pieces and the seam allowances. If the seam allowance is too big, the crayon pockets on either end of the roll will be too small. I learned this the hard way! Since then, I’ve felt inspired to whip up a handful of crayon rolls, assembly-line style, for all of the kiddos in my life. Messy crayon buckets be gone! This is INCREDIBLE! SO cute! Also, coloring is so therapeutic!